Over 25 new dishes is a lot, so we want to give you the opportunity to try them all or just eat your favourite every day for a month! WE’LL CHOOSE A WINNER AT THE END OF JUNE (AND JULY) AND REWARD THE BEST PICTURE. SO GO SNAPPING! AND BEST OF LUCK. 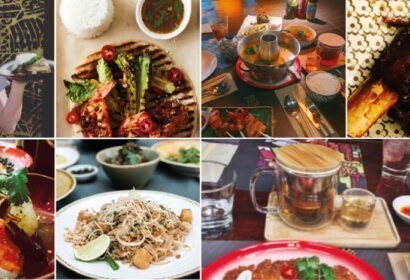 1.One dish from the Busaba menu free every single day for one nominated winner for 1 month (July 2017 or August 2017) at any Busaba restaurant in the UK. 2.Winners will be chosen by the Busaba marketing team and will be announced and contacted by Busaba marketing team on the 30th of June and 31st of July.